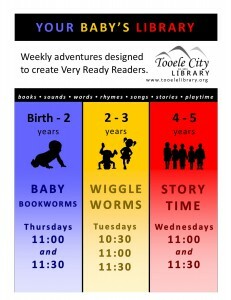 Wiggle Worms is an interactive story time program using the 7 days 7 ways principles from Very Ready to Read. 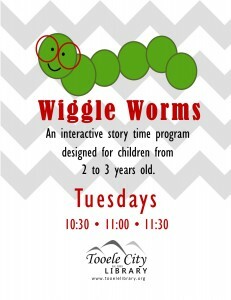 Designed for 2 – 3 year old children. Seating is limited. Arrive Early. This program is repeated 3 times and begins when full or at 10:30, 11:00, 11:30.